Cotton Cay, Turks and Caicos. 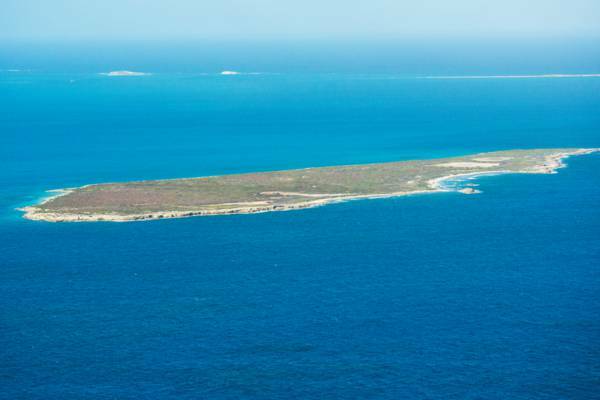 Found 1.6 miles (2.6 kilometres) northeast of Salt Cay and 3.6 miles (5.8km) south of Grand Turk, Cotton Cay is an uninhabited .43 square-mile (1.12 sq km) island. The cay is generally of low elevation and has the low density coastal vegetation typical to the Turks and Caicos. Snorkelling can be found in the waters around the island. Much of the coastline of Cotton Cay is rocky, although a small 600ft (180m) scenic beach can be found on the west side of the island. Cotton and later on sisal were raised here and plantation ruins and field walls can be seen on the western half of the island. Uncommon on the main islands in the country, Turk’s Head cactuses are well established on Cotton Cay. Last reviewed by an editor on 23 December 2016.